Travelers tend to value experiences over possessions, making them difficult to shop for. We have scoured the planet and tested hundreds of products to compile a list of the best travel gifts for the holiday season. Whether you are shopping for someone else, or compiling your own wish list, these gifts are sure to please even the pickiest travel addicts. Etched pint, wine & whiskey glasses by Uncommon Green are the perfect way to remember your favorite travel destinations. Not only can you collect glasses with maps from major cities, but these etched glasses are 100% customizable to anyplace in the world with a zip code. Collect them to remember your travels, or snag a few with your college or hometown. They even have topographical versions, which was perfect after my trip to Nepal where I caught a glimpse of Mount Everest, I love the Everest whiskey glass! When traveling, I am always looking for my next adrenaline-inducing adventure– which means I need gear that can stand up to the elements. The I.N.O.X. watch by Victorinox Swiss Army is the ultimate traveler's watch. It's practically indestructible, Victorinox has run it over with a tank, dropped it off buildings and lit it on fire– and it still kept ticking! They make both men and womens versions, with a selection of bands, I opted for the paracord wristband. SkyRoam has been a staple in my life over the last two years of my travels, and I love how easy it is to stay connected. This compact lightweight device provides you with a global hotspot to access the internet on your phone and computer from nearly anywhere on the planet with only a phone signal. 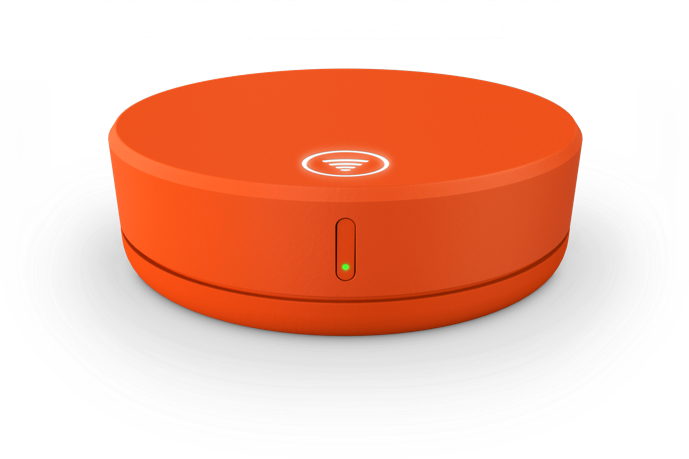 The new updated version– Skyroam Solis, is even better. With 4G capabilities, a better battery life and an all new option to use it as a powerbank, Solis is the only phone accessory the traveler in your life needs to carry. The Sony RX100 V is the perfect all around pocket-sized camera. When I want to travel light, but don't want to lose out on the quality of my photos– I bring this small yet powerful point and shoot. With manual settings, amazing priority settings, and a phenomenal Zeiss lens, this is the perfect small camera for professionals as well as beginners. With 20.1 megapixels, you will be sure to capture every last detail of your adventures! The Sony A7sii is a travel photographers dream camera. With incredible low light capabilities, 4k video capabilities, and the small size, Sony mirrorless cameras have been blowing DSLR's out of the water. Drone photography may be all the rage, but theres only one drone that's built for travelers. The DJI Mavic is small, lightweight, but a real powerhouse. It shoots stills and video with 12MP and 4k capabilities for professional quality. Finding the perfect photography backpack to carry all of my photography gear has proved to be challenging. The Travler Pack by Travler has thoughtful features like a padded laptop sleeve, rain poncho, customizable interior, an RFID protected pocket, and even a headphone port. The bag retails for $160, making it one of the most reasonably priced camera backpacks on the market. Packing for a weekend away is something that men may have mastered but most women struggle with. It’s difficult to pack enough to be prepared for any spontaneous adventure that may present itself, while still packing all the necessities we, as women, generally need. Ladies, the Catalina from Lo & Son’s has got you covered and is the only weekend bag you will ever need. The Catalina doesn’t look big, but stores a ton of stuff! A separate bottom compartment is perfect for storing shoes, sandy towels, wet bathing suits, or anything else you want separated from your clothes! It also makes for a great carry on bag for longer trips thanks to the smart design that allows the Catalina to easily slide over the handle of any dual pole suitcase. There are two kinds of luggage, carry-on and lost. Save yourself some sanity when checking a bag, and invest in a GPS luggage tracker. LugLoc will allow you to track your bag from anywhere in the world with your smartphone. The device will even send text updates to the location of your bag. The rechargeable battery lasts up to 15 days, so if your bag ever were to be misplaced, you will have ample time to recover it. Since a simple Jack & Coke won't always cut it, this carry-on cocktail kit is perfect for enhancing your in-flight drinking experience. Feel like you are in first class, even if you are in economy by making an Old Fashioned, a Moscow Mule, or a Margarita. Just add alcohol. A suitcase with the ability to expand is essential for travelers. Often times on press trips I find myself unexpectedly picking up oversized souvenirs to bring back for my family and friends. For years, this has meant I needed to get creative with my packing, throw things out, or buy an extra bag while traveling. After discovering Victorinox Swiss Army’s Expandable Spectra suitcase, I always have the extra room I need to take home souvenirs. Victorinox Swiss Army is one of the few brands that makes quality items across the board in everything that they do. Although they are best known for their knives, Victorinox Swiss Army is one of the leaders in quality travel gear. I have trekked all over the globe with their products by my side, and they have all stood up to the elements, as well as abuse from baggage handlers. Swiss Army products are always designed with function in mind without sacrificing the eye-catching look of the bag. My favorite bag from Victorinox is the Spectra Expandable. It has a sleek design, is ultra durable and has the ability to expand up to 40% when overfilled! In addition, it has practical features such as opening from the top and a special pocket for your swiss army knife. Doing laundry isn't an exciting part of travel, but if you are gone long enough, it's an inevitable part of your trip. Protecting your important clothing items from harsh machines (even if you are sending your laundry out to be washed) just became easier with these high quality mesh bags from Laundress. Cheaper versions fall apart after just a few washes, but this brand keeps clothes protected and secure. My favorite neck pillows and eye masks are from Cabeau. The Evolution neck pillow has been my go-to travel pillow for years. It’s made from memory foam, which makes it extremely comfortable for long haul flights. I’m a germophobe, so another feature that is important is the removable and washable cover. The Midnight Magic eye mask is fuzzy and comfortable, most importantly, it completely blocks every bit of light from your eyes. Another great feature of this eye-mask is its adjustable to fit the shape of your face. It also had rounded inner eye liners to keep the mask from pressing on eye-lids. By far the most functional and comfortable eye mask on the market! travel news, funTrusted Travel Girl October 29, 2017 window seat selfish, window seat dwellers, window seat vs aisle seat, airplane seat, you're selfish if you prefer window, you're smart if you prefer window, window seat or aisle seat, season travelers window seat, seasoned travelers, where to sit on the plane, what seat to choose on the plane, what seat to choose on my flight, choosing airplane seats.